Baltimore’s height limit policy for the Mt. Vernon historic district will remain in effect after city officials postponed a meeting today that could have led to relaxed restrictions. The Commission for Historical and Architectural Preservation (CHAP) announced this afternoon that a previously scheduled meeting to consider revising the Mt. Vernon New Construction Guidelines, including height limits, had been postponed until the fall or later. CHAP chairman Tom Liebel said the hearing was postponed at the request of the Mount Vernon-Belvedere Association (MVBA) that represents neighborhood residents and businesses. “They didn’t feel that they had sufficient time to reach out to the community and get full feedback from their membership,” Liebel said during the public session. The decision to pull the item from the agenda was made around midnight last night, according to CHAP executive director Eric Holcomb. Yesterday The Brew posted a story about the height controversy, including a potential conflict of interest between Michele Richter, president of the MVBA, and her husband, Dennis Richter, a developer who is seeking an exemption from the height restriction to construct a 10-story building on the site of Eddie’s of Mt. Vernon. CHAP’s director and chairman said the impetus for the revisions came from the MVBA under Michele Richter. Asked whether the community group backed the proposed revisions, Michele Richter referred all questions to Steve Shen, chairman of the architectural review committee. Shen wrote back a lengthy response to The Brew last night, but requested that it not be attributed to him. He did not respond to a request today for his earlier response to be put on the record. Dennis Richter’s proposed building would rise 16 feet higher than the 100-foot height limit set out in the current Mt. Vernon New Construction Guidelines. In April, CHAP voted 9 to 0 to approve the plan in concept, even though its professional staff recommended disapproval because the proposed building violated the height limits. Richter still needs the panel’s final approval to start the project. After the vote in April, CHAP members held a closed-door meeting with representatives of the city law department to discuss their action. Some details of the plan to revise the construction guidelines were announced during a brief CHAP session in June, and a public hearing on the revisions was scheduled for today’s meeting. Under the current guidelines, any building that violates the city’s height limits would be prohibited. Under the new guidelines, the “prohibited” category would be eliminated, and proposals for buildings that exceed the current height limit would fall into a “not recommended” category. That means they would get a public hearing. Why was the Richter proposal considered in the first place, if it exceeded the height limit and fell in the prohibited category? Liebel said CHAP’s commissioners agreed to consider the proposal because they understood it had strong support from the MVBA, the organization headed by Michele Richter. Liebel said CHAP also understood that the community group wanted future building proposals to be considered by CHAP on a “case by case” basis rather than having CHAP follow specific, pre-set height limits. That position represented an about-face from the organization’s stance a decade ago when it asked CHAP to impose strict height limits in the historic district. Dennis Richter says he has to work harder and do more to overcome accusations that he benefits from his wife’s position. Several MVBA representatives have insisted that the impetus for revising the new construction guidelines did not come from the community, but from CHAP and the city law department. Holcomb and Liebel today took issue with that characterization, saying the impetus for the revisions came from the MVBA under Michele Richter. “They absolutely did,” Liebel said. “We have it in writing that the MVBA would support this shift in the guidelines,” Holcomb said. Dennis Richter said yesterday in an interview that there was no attempt to make his wife the president of the MVBA so that he could win support for his projects in Mt. Vernon. He said Michele Richter was the organization’s vice president when the previous president, Brian Levy, resigned before his term expired. When no one else stepped forward to become president, he said, the board asked Michele Richter to fill the position since she was vice president. Dennis Richter said it is very difficult to be a developer in the same area where you live and where your wife is the head of the community organization. He said he has to work harder and do more to overcome accusations that everything is wired to benefit his project because of his wife’s position. He said he has held numerous meetings with community stakeholders to discuss and modify the Eager Street project – far more than most other developers would do. Holcomb said height limits are not the only category that would change if the proposed Mt. Vernon New Construction Guidelines were adopted. Besides prohibiting buildings that exceed current height limits, he noted, the current guidelines prohibit certain materials that are considered inappropriate for Mount Vernon, including vinyl on windows, oversized brick, concrete masonry blocks and EIFS (Exterior Insulation Finishing System) cladding. The current guidelines also prohibit “steeples, chimneys, towers or other roof projections” that exceed the maximum height limit for a given area; certain “private open spaces” in front of new construction, and “facades. . . located on principal streets” that have no “doors, windows or storefronts,” making them essentially blank walls. Under the proposed revisions, Holcomb said, the “prohibited” category would be eliminated in all cases, and the items that are now considered prohibited would be moved to the “not recommended” category. 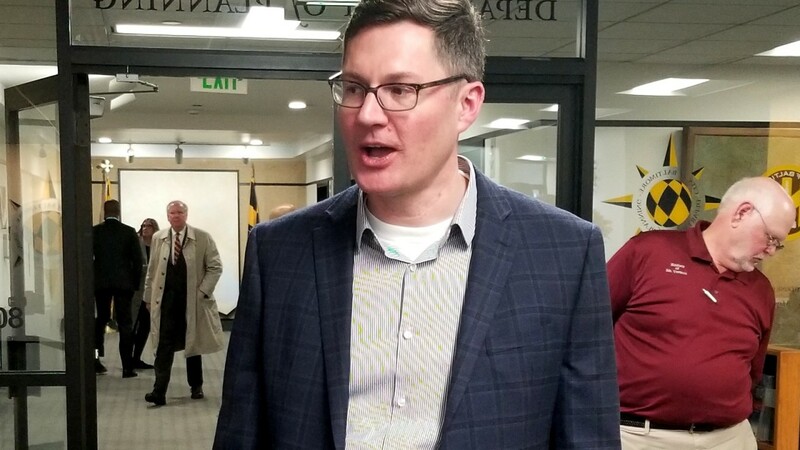 Holcomb said the neighborhood has asked CHAP to reschedule its hearing on the proposed revisions for sometime after the MVBA holds its general meeting in mid-September. He said he did not have an exact date.